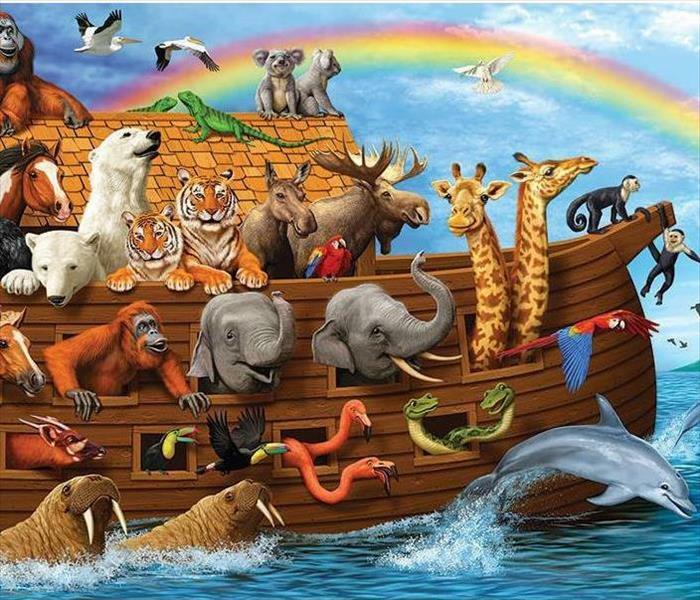 Don't build an ark, call SERVPRO! Water is our source of life and we need it to survive. It hydrates and replenishes our bodies, serves to grow many of our food sources, and even cleans the air that we breathe; but we don’t necessarily want water everywhere. Our hardwood floors, sheetrock, or furniture are perfect examples of places where we would just as soon not find water. Water intrusions can happen when we least expect them. Burst pipes, leaky roofs, or clogged drains are just a few of the ways that water can quickly overtake your home. If your source of life has become your source of strife, SERVPRO of North Cabarrus County & China Grove can help. Our expert technicians are trained and equipped to deal with water losses so that further damage and mold can be prevented. Immediate response and proper drying procedures are imperative after a water intrusion. Our 24/7 emergency service gives you the peace of mind of knowing that your loss will be handled quickly. We can’t always avoid a water loss, but we can make it "Like it never even happened." A puff back occurs when an oil furnace malfunctions forcing large quantities of soot throughout your home. Forced air systems can send this oily soot hurling through the vents causing smoke damage in every single room. Because this occurrence is generally caused by varying types of oil leaks in your furnace, the soot can be very greasy and almost impossible for you as the homeowner to clean by yourself. This soot can affect almost everything in your home including the walls, ceilings, furniture, artwork, clothing, and other important valuables. Often times a puff back requires a professional restoration or cleaning service to address the issue. Being proactive and knowing what signs to look for can help you to avoid a puff back situation in your home. It can also help to keep your furnace running safely and smoothly all winter long. But if you do need cleanup, Call SERVPRO of North Cabarrus County & China Grove to help! • Sight (Appearances) – Usually appears as colored woolly mats. Mold may appear cottony, velvety, granular or leathery and come in any shade or color. • Smell – Often produce a foul, musty, earthy smell. • Identify moisture problems and remove excess moisture with a wet-dry vacuum and dry out the building as quickly as possible. • Make sure working area is well ventilated. • Use fans to assist in the drying process. • Clean wet items/surfaces with detergent and water. • Work and egress areas should be cleaned with a damp cloth or mop and a detergent solution. • Discard all water/mold damaged materials; discard mold damaged materials in plastic bags; discard all porous items that have been wet more than 48 hours. • Consult with experienced professionals. 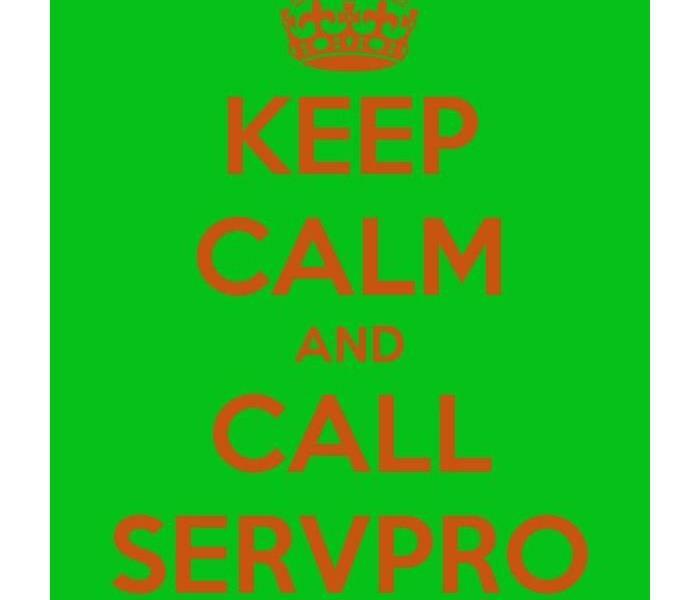 SERVPRO of North Cabarrus County and China Grove the professionals you can trust. What Size Kitchen Fire Extinguisher Do You Need? f you find yourself dealing with a fire in your kitchen in the future, you’ll be glad you took the 3 minutes to read this post and learn the best fire extinguisher for kitchen fires. We’re taking the time to write this blog because all fire extinguishes aren’t created equally – and neither are the fires they put out. 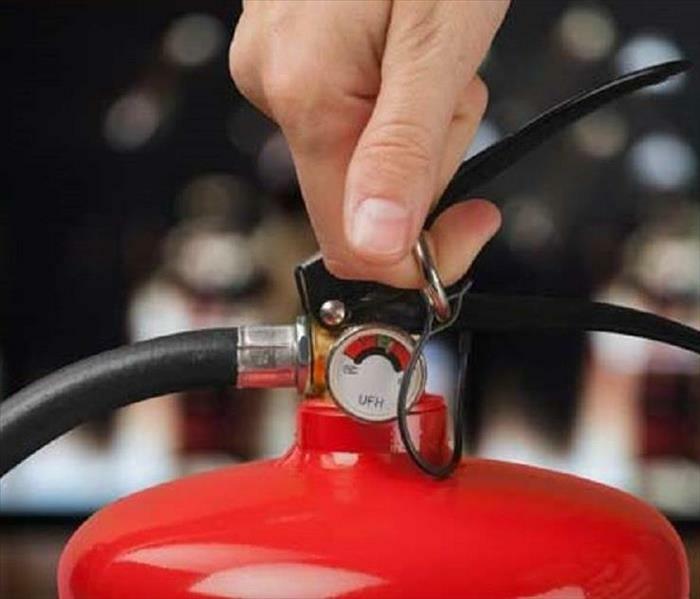 It’s important to know the different types of fire extinguishers, how they’re used, and some of the best types of fire extinguishers for kitchen are so you’re prepared in case of an emergency. Keep in mind this information is provided to help you deal with small grease fires in the kitchen, preferably while someone else is calling the fire department to your home. Household fire extinguishers have different classifications that tell you what type of fire they are capable of putting out. If you use the wrong class on a fire, you could make the situation worse. Luckily, fire extinguishers are clearly labeled. Class A: For trash, wood, and/or paper fires. Class B: For liquids and/or grease fires. Class C: For electrical fires. Class D: For flammable metals (usually only needed in labs or industrial plants). Class K: Specifically for kitchen fires when grease and oil are involved. Note, some fire extinguishers may be rated in more than one class which means you can use them on different types of fires. There are several sizes of extinguishers to choose from. How do you know what size makes the best fire extinguisher for kitchen use? It’s a pretty easy choice once you know the recommendations based on the sizes. Classes A and B also have a number before the letter that tell you basically how much fire it can handle. For Class A extinguishers, the number (from 1 to 40) represents the equivalency for gallons of water. 1 is equal to 1.25 gallons of water, so a 3 rated extinguisher is the same as 3.75 gallons of water. For Class B extinguishers, the rating goes from 1 to 640 and it represents square footage a fire can handle. 20B means you’ll be able to handle a fire that’s spread to cover 20 square feet. For Class C, D, and K, there are no numbers, so you’ll use the numbers from the A and B ratings to choose your extinguisher. Keep in mind that the extinguisher size also varies based on the weight. Typically, there are 4 lbs, 5 lbs, 10 lbs, and 20 lbs extinguishers. Bigger isn’t always better here – if you can’t pick up the extinguisher and sweep it to put out the fire because the device is too heavy, you’ll wish you chose the 5 or 10 pounder instead of the 20. Note: extinguishers are heavier than their displayed weight when fully charged. Step 1: Pull the pin. Step 2: Aim the extinguisher at the kitchen fire low with the nozzle at the base of the fire. Step 3: Squeeze the handle to begin extinguishing the fire. Step 4: Sweep the extinguisher side to side at the fire’s base until it’s out. Be careful of re-ignition. Amerex B500 Rechargeable 5-lb Extinguisher: Weighs under 10 pounds fully charged and works with all three classes of home fires. WilliamsRDM Stovetop Firestop Extinguisher: This kitchen fire extinguisher is mounted above your stove and activates when it detects fires. It uses baking soda and installs flawlessly via a magnet. You’ll need to purchase another extinguisher to have on hand for other types of fires that happen away from the stovetop. Kidde 466112 Pro Dry Chemical Fire Extinguisher: This extinguishers discharges in fifteen seconds or less and has a range up to fifteen feet. It’s suitable for Class A, B, and C fires, is very durable, and weighs under 10 pounds. Note: Kidde recalled extinguishers with plastic handles, but this one wasn’t part of the recall. First Alert Rechargeable Standard Home Fire Extinguisher: All metal and suitable for A, B, and C class fires and rechargeable (by a professional) if you have to use it. First Alert Fire Extinguishing Spray: One-time use, lightweight, and biodegradable, this fire extinguisher discharges for 32 seconds in a fine mist that’s easy to clean. You’ll want to keep a standard extinguisher on hand because this one is small and only single-use. We hope you found this post about the best type of fire extinguisher for kitchen fires useful and are ordering your fire extinguishers to go in multiple rooms in your home if you don’t already have them. Remember, SERVPRO of North Cabarrus County and China Grove is here for all of your flood, fire, and mold cleanup and reconstruction. Contact us today. I don’t know about you, but I completely obsess when I’m trying to make a big change, achieve a personal goal, adopt a new behavior or switch to a new way of thinking. Whether it’s getting in 10,000 daily steps, eating more fruits and vegetables or drinking eight glasses of water every day – it takes unwavering focus and effort to change our actions, and even more continuous effort to change our mindsets and convert our behaviors long-term. At SERVPRO of North Cabarrus County & China Grove, one of our five core values is Safety Obsession – an unwavering focus on safety designed to change not just our behavior but our mindset about what it means to be safe. But safety at work is only half of the equation. The other half is what happens outside of work. Why? 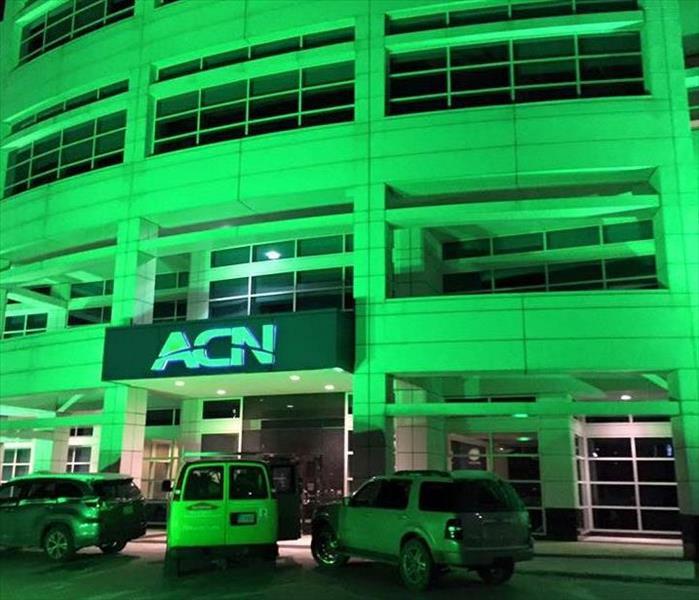 Because we want all employees to return safely to their families, homes and communities at the end of each work day. We need to think about safety not just through the lens of work; we need to think about safety from all angles and all sides. I look forward to exploring in future blogs the practices, behaviors and commitments required to build a Safety mindset. For now, I hope you will join me, not just for National Safety Month, but every day, in making your own safety and the safety of others a priority — no, an obsession. Every year fires break out in workplaces across the country resulting in serious damage to property and even injury and death. In the UK each year there are around 25,000 non-residential fires reported, with a significant proportion of these fires occurring in the workplace. There are a variety of reasons why these fires break out, although many are due to negligence and could be prevented with more care and attention. One of the best ways to protect your business against fire is to educate your staff on the causes of fire and encourage them to be vigilant and report any potential fire hazards, so that they can be dealt with swiftly. Although each working environment is different, here are some common workplace fire hazards that you should look out for and how to reduce the risk of them causing a fire. In many workplaces, in particular offices, there can be a build-up of waste such as paper, cardboard and other combustible materials. If this is not disposed of regularly, it provides plenty of fuel for any potential fires should they break out. All it takes is a source of ignition, for example a discarded cigarette to set this alight and it could result in a fire that burns rapidly. For this reason you should avoid storing rubbish on site is possible, or if you must – make sure it is in a designated area, away from main buildings and any potential sources of ignition. This may be more of a threat in some types of workplace than others. Those particularly at risk include industrial warehouses and factories where there may be large amounts of flammable liquids and vapours stored. This can also cover anywhere that these materials are present such as garages, hotels and kitchens. Flammable liquids can ignite instantly when they come into contact with a spark or naked flame. Vapours are also particularly dangerous as they spread out, carrying the risk of an explosion with devastating consequences. To reduce the risk of a fire, always ensure that flammable liquid and solvent containers are sealed properly and if any spills do happen, they are cleaned up immediately. Dust and powder from wood, plastic and metal operations can cause explosions in enclosed spaces if there is no proper ventilation. Extraction fans should be installed in places where there is a risk of dust in the air, for example in environments such as mines and factories. Equipment and machinery that heats up when used should also be kept clean and free of grease and dust so that this does not burn, starting a fire. Heat is one of the vital ingredients of fire. Some electrical equipment and machinery warms up when used providing the potential for a fire to start. Make sure you keep combustible materials such as paper away from heat sources and remember to unplug any equipment that is not being used if possible. Never leave any electrical equipment or machinery on overnight unless it is necessary. Fires caused by electrical equipment are one of the most common types of fire in the workplace. Look out for any signs of loose cabling, damaged plugs and replace any faulty equipment. All electrical equipment should be regularly checked and PAT tested by an expert. 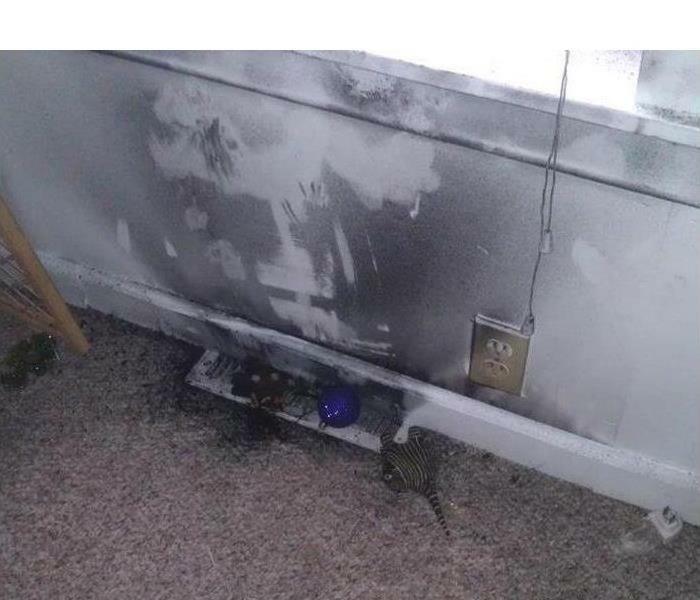 This is a fairly common cause of electrical fires but it is one that is easily avoided. If too many appliances are plugged into the same socket or if faulty extension cords are used, this can result in overheating and potentially a fire. Always make sure that you use one plug in each socket and don’t use appliances that total more than 13amps or 3000 watts across the whole socket. Discarded cigarettes can cause fires if not put out and disposed of properly. Smoking can be especially hazardous if it is allowed to take place near areas where flammable materials are present. Therefore a designated smoking area should be allocated in your workplace away from main buildings and flammables. Staff should also be encouraged to make sure that any cigarettes are put out properly and to use specially provided bins for their cigarettes. It has to be said that one of the most common causes of fires in the workplace is human error. Fires can occur as a result of negligence in a variety of different ways including improper use of equipment, accidents, drinks being spilt over electrical equipment and leaving cooking unattended. Although you cannot completely remove the human error factor, through proper training you can take steps to reduce it by providing effective training and guidance for your staff advising on best fire safety practice. If the worst does happen and a fire starts, having fire fighting equipment on site such asfire extinguishers, blankets and hose reels are vital for bringing fires under control. However you should use caution and make sure that all staff are trained to use the correcttype of fire extinguisher. A little History about our town. SERVPRO North Cabarrus County & China Grove would like to share a bit of history on our town. 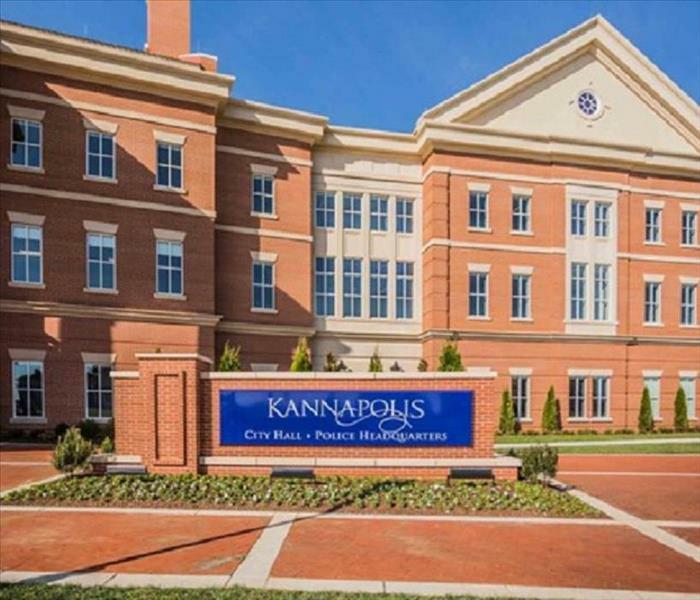 Our city has a rich southern textile heritage, Kannapolis is honoring its past while embracing its future as a center for nutrition, health, and agriculture research. In 1906 J.W. Cannon purchased the land that later became Kannapolis, and acquired a total of 1008 acres in Cabarrus and Rowan Counties. Approximately 808 of those acres of farmland, purchased along the historic wagon road between Salisbury and Charlotte, became the location of the new textile mill, Cannon Manufacturing. Cannon Manufacturing began production in 1908. In 1914 Cannon Manufacturing became known as the world’s largest producer of sheets and towels. 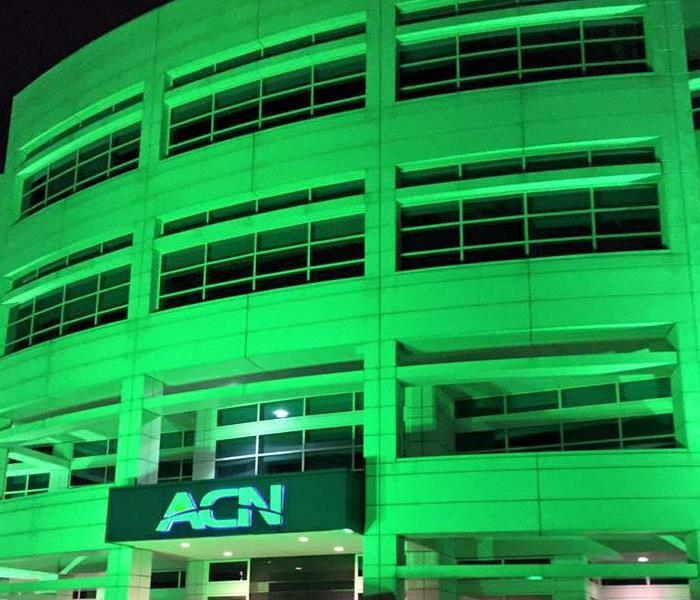 Shortly after, Mr. Cannon opened plants in Rowan County, Concord and in South Carolina totaling 20,000 workers. Mill founder J.W. Cannon’s youngest son, Charles A. Cannon, consolidated all the separate mills into the giant Cannon Mills Company in 1928. Many of Kannapolis’ facilities and amenities like 1,600 homes, a YMCA and civic center, movie theater, daycare center, a temporary hospital were constructed by Cannon Mills for the mill employees. All aspects of life, from housing to road infrastructure to recreation and services, centered around mill operations. By 1984, when Kannapolis incorporated, an estimated 30,000 people were employees of Cannon Mills. We are proud of our history and embrace the future. Our family and community values is what we are based on. With SERVPRO North Cabarrus County & China Grove you are treated like family. SERVPRO of North Cabarrus County & China Grove offers 24/7 emergency water damage restoration services. When your facility faces water damage, it’s best to seek immediate professional help. The longer water stays in your building, the more extensive the damage and the more expensive the restoration costs will be. To help get you back to business fast, SERVPRO of North Cabarrus County & China Grove offers 24/7 emergency water damage restoration services. To minimize the damage done to your building’s floors, drywall, insulation, ceilings, and contents, SERVPRO of North Cabarrus County & China Grove mobilizes as soon as we receive your call. Upon arrival, our certified water damage restoration professionals will quickly, completely, and discretely restore your facility. Avoid hazards: electricity in contact with water, slippery floors, unsanitary water, and unsafe structures. Locate and stop water source. Remove furniture or place plastic under furniture legs to prevent permanent stain or rust. Remove any wet contents. Call SERVPRO of North Cabarrus County & China Grove to arrange for an inspection and to begin water extraction as soon as possible to minimize damage. 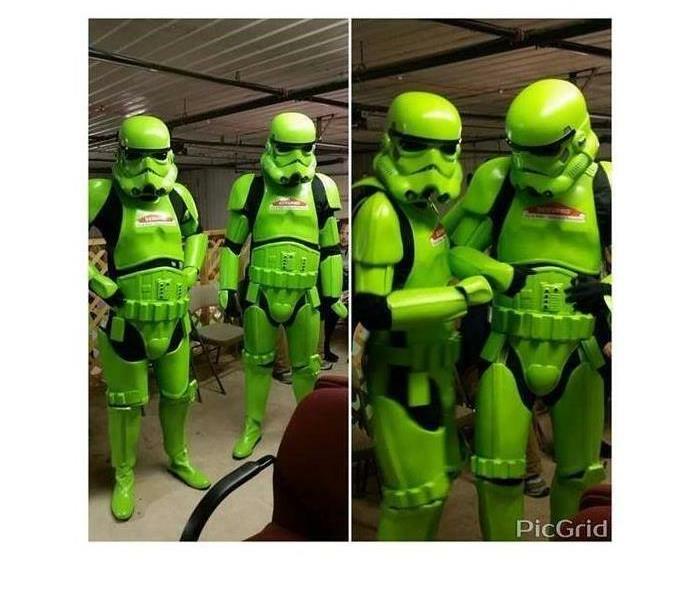 Your SERVPRO of North Cabarrus County & China Grove team has your back when emergencies happen. The Water Is Running in the Sink or Bathtub – If you have an overflowing sink or bathtub due to a clog, taking quick action is essential. Water damage is a serious problem that can cause mold growth, warped wood, and ruined carpet within a day or two, especially if the water is left untouched. Turn off the faucet and begin removing as much of the water and residual moisture as possible. Next, call the experts to handle the cleanup. When a sink or bathtub overflows, you’re left with contaminated water that could contain bacteria and viruses, along with traces of food, grease, dirt, and hair. What you might not know is that if you remove any affected building material (or have your emergency cleanup experts do it), you can avoid long-term issues that could affect indoor air quality. There’s Water Damage From the Sprinkler System – While your facility’s sprinkler system is an excellent defense against unforeseen fires, it can often leave a wet mess behind, especially when there is no fire to extinguish. Whether a chef in your restaurant’s kitchen has caused the sprinklers to go off due to cooking issues or a tenant hangs heavy items from the system, you could easily be left with a watery mess in an instant. Sprinklers can cause damage not just to your floors but also to your facility’s drywall, carpeting, and other materials. What you might not know is that some sprinkler systems have chemicals in the water or suppressants that require special treatment during remediation or require removal of affected items. The Toilet Overflows Due to a Preventable Clog – Sometimes guests will flush inappropriate items down the toilet such as diapers, clothes, tampons, and more. When this happens, your toilet will eventually clog and can cause a massive overflow of what we call “black water.” This type of water is specifically contaminated with human waste and could cause a huge health risk if you or others come in contact with it. If you find yourself with an overflowing toilet, call the professionals right away to let them properly handle the contaminated water. What you might not realize is this is something that your commercial property insurance policy covers, so you should call your agent as soon as the incident occurs to discuss the damage and whether it makes sense to file a claim. Unexpected things are going to happen. Your SERVPRO of North Cabarrus County & China Grove team has your back when emergencies happen. You may need a board-up service to secure your property so don’t wait. SERVPRO of North Cabbarus County and China Grove can be there day or night for emergency service. Your insurance provider will instruct you on the next steps to take in making a claim and provide you with a claim number. It’s important to hire a professional and trustworthy contractor to help you recover your home and restore your lives. Poor or incomplete restoration will leave you with an unhealthy home for your family. Any time there is water damage is involved, mold can begin growing immediately as well. It’s critical to address and remedy this as soon as possible to avoid additional damage and health risk. At SERVPRO of North Cabbarus County and China Grove we have seen it all when it comes to Storm Damage. 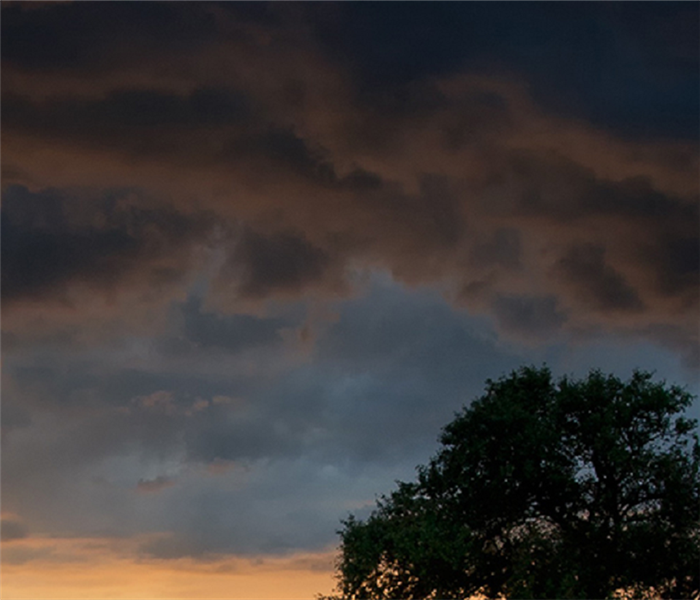 Whatever your situation is, we will start the process of restoring your lives by giving you a free quote and time estimate on the storm damage repairs required. 6/18/2018 - A little History about our town.